Romance Narrators: You had a unique path to gaining your SAG-AFTRA card. Pulling lottery numbers?? How did this gig find you? Caroline: My first real job after college was working at WTTG-TV in Washington DC. While working there, I met some of the directors of the DC Lottery. Later, I was asked if I would like to pull the winning lottery numbers on TV (at another station). I’d never played the lottery and did not know very much about it, but thought it might be some good on camera experience. Turns out it was great experience and a lot of fun! There was a machine that bounced around ping-pong balls with numbers on them. One randomly shot up a tube and it was my task to turn the little ball around to face the camera and announce the winning numbers. I worked with the DC Lottery on a contract basis for almost ten years and during that time I joined the Union. There were six of us who were the on-camera hosts and we got to take an active part in the negotiations between AFTRA and the DC Lottery. It was very educational to be part of the process and see how it works. I’ve been a happy member of the Union ever since (34 years and counting)! Romance Narrators: Wow! Do you remember the first audiobook you narrated? How was that experience for you? Caroline: Actually, the very first book I narrated was for Learning Ally. I began my career in audiobooks volunteering for them. I can’t say enough good things about Learning Ally, what they do and the service they provide. I never really thought about recording audiobooks (but was already an avid listener). A friend suggested I look into Learning Ally. I remember the first time I went into a booth. I had a director sitting outside, microphone in front of me with the text of the book on a monitor. The director pointed a figure at me and mouthed, “Go”. A red light went on and I froze for ten seconds (but it seemed longer to me). Then the finger started to move again and I just opened my mouth and the words came out. I was nervous, anxious, thrilled and so present in that moment. I’ve been hooked ever since. I now record out of my own booth at home. My dog Cooper keeps me company and on schedule. He lets me know when it’s time to walk him. Romance Narrators: You speak Mandarin Chinese. Have you ever narrated an audiobook in that language? Is that something you're interested in doing? Caroline: Yes, I speak Mandarin Chinese. It was my first language. I came to the United States when I was three and started learning English, which was pretty easy to pick up at that young age. The first English words I uttered was a song taught to me by my first American friend, a little girl named Lynney who lived next door. After learning the words to the song, I proudly stood before my parents and sang, “My baby does the hanky panky…”. My parents sat there in the kitchen listening, eyes wide and mouths opened. To this day, I don’t think they understood what the words meant, or at least I hope they didn’t! With regards to audiobooks, I have narrated a few books where my understanding of the Chinese language comes in handy. Most of the books require proper pronunciation of words, names and phrases. With Chinese you have to be careful how you pronounce certain words. Tones come into play. The word "ma" can mean mother, horse or to scold depending on how the tones come out of your mouth. You don't want to call someone's mother a horse! It's a beautiful language when spoken correctly. However, reading and writing it is another story. It's very difficult to keep it up unless you practice everyday. I don't know if I'd ever narrate an entire book in Chinese, unless the translation was already done for me. Translating, that's a whole other skill set. Romance Narrators: You love horror movies and period pieces, particularly Jane Austen. So we gotta ask, did you read Pride and Prejudice and Zombies? That seems like it would be right up your alley. Caroline: How did you guess? I loved “Pride and Prejudice and Zombies”. Mr. Darcy and zombies in a Jane Austen setting, what’s not to love? If they were filming the sequel near me, I would beg to be a zombie extra! I would even do it for free. Who’s with me? Romance Narrators: We would pay good money to see you play a zombie! Have you narrated any horror titles? How about Regency romance? Caroline: Sadly, no. However I have narrated books with elements of horror. I tend to work in a variety of genres: Romance, Mystery/Thriller and Non-Fiction being the top categories. Horror and Regency romance haven’t come my way yet, but ya never know. Romance Narrators: You recently narrated a Christian Contemporary Romance. Is that experience much different from narrating romance in general? Caroline: The experience is the same. In any genre you have a beginning, middle and end. I’m telling a story about two people who end up falling in love. With Christian Romance the stories may be a bit lighter than other romance books with varying degrees of religious elements added. As a narrator, you have to be sensitive that. Think of Christian Romance or any sweet, clean romance like a Hallmark movie. The, ahem, spicier moments are left to the imagination. Romance Narrators: You've narrated quite a few non-fiction titles of the self-help variety: Clutter Intervention, Feeling Loved, Career Match etc. Do you find any of the nuggets of wisdom from these books weaving their way into your day-to-day life? Caroline: I absolutely enjoy narrating non-fiction titles for that very reason. I learn so much! I may not have picked up to read some of the books on my own, but after narrating them I’ve gained insight into so many topics. In “Clutter Intervention” I did my own de-cluttering while narrating the book. The idea is to get rid of things because they can block good energy from coming your way. And holding on to things you don’t need may keep you stuck instead of moving forward. Trust me, it works! Romance Narrators: Keep that good energy flowing, woman! When you're not narrating, you seem to get into some pretty delicious cooking. What was the last meal you made that delighted your taste buds? Caroline: Hmm, the last meal that made my mouth water…well, it wasn’t actually a meal (although I love to cook). It was a cocktail. I was in Ireland this summer and my adult son and I had a drinks made by a very jovial mixologist. Mine was a delicious sugar-rimmed margarita, tart and sweet with a hint of heat. Hands down the best margarita I’ve ever had! I just had to fly to Dublin to get it. Romance Narrators: Yum. What exciting audiobook projects do you have on the horizon? 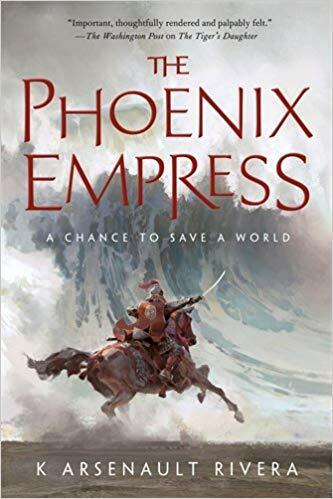 Caroline: I’m currently recording “The Phoenix Empress” for Audible Studios. It’s a 17-hour epic with elements of romance, action and the paranormal. It’s a book with lots of characters and accents, which love to record. I even get to play demons in this book…. so I guess in a way I’m getting my horror fix. 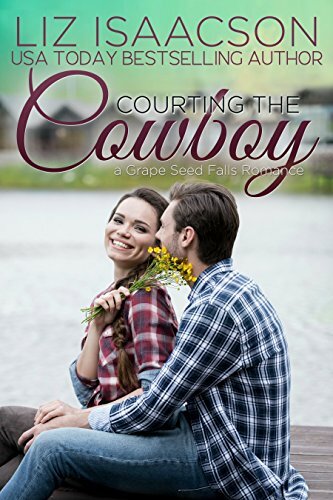 After that, I return to the lovely town of Grape Seed Falls for the third book, “Courting the Cowboy”, in the romance series. I get to use my Texas twang. Variety, that’s what I thrive on. (But between the sheets, it’s Romance that I love most)! Romance Narrators: What do you know? Romance is our favorite too! Where can people keep up with you online, Caroline? (Hehe. We rhymed).